Attack 1 : Super Orange! 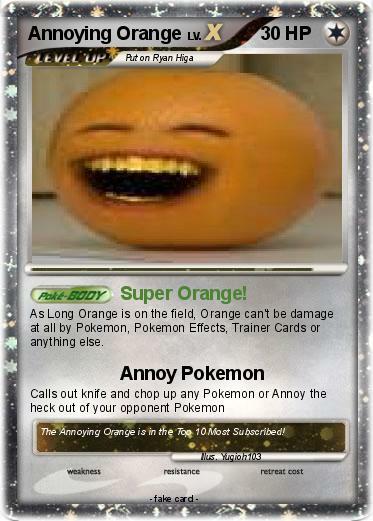 As Long Orange is on the field, Orange can't be damage at all by Pokemon, Pokemon Effects, Trainer Cards or anything else. Comments : The Annoying Orange is in the Top 10 Most Subscribed!